Expecting a baby is definitely fun and exciting along with the preparations for your new arrival. Planning and decorating a space for your baby will be one of the first things to do on the list. 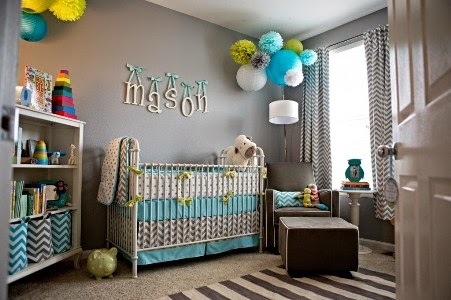 The nursery is a place where your child will spend a lot of time as he/she grows. Designing a Feng Shui nursery can be a fun and rewarding experience. A good flow of Feng Shui energy will indubitably lead to a healthier and happier child. Yes, Feng Shui nursery aims to enhance, stimulate and enrich the atmosphere that contributes to the overall health of your baby. 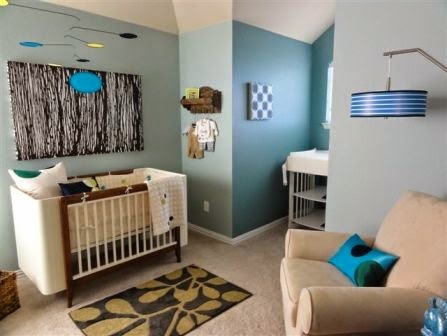 How to Feng Shui a nursery? Feng shui is an old Chinese practice of interior designing that allows for open flow of energy. Hence a Feng Shui designed nursery will help your baby thrive well and be happy and healthy. Let us in this article discuss how to initiate a home remodelling to create a sacred, safe and nurturing nursery incorporating Feng Shui principles. First and foremost of all select a good location for your baby’s room. Never choose a room that is near the garage area or that has an empty space below. Also make sure that the baby’s room is not located where there is excessive noise as it might hinder the baby’s sound sleep. Choose a room that has a window to facilitate natural light and chi movement to flow in. The crib should be placed on a solid wall with the head of the crib against the wall. Avoid placing the crib lengthwise as the baby will be in a defensive position. The bed should never be placed against a window or in line with the door. 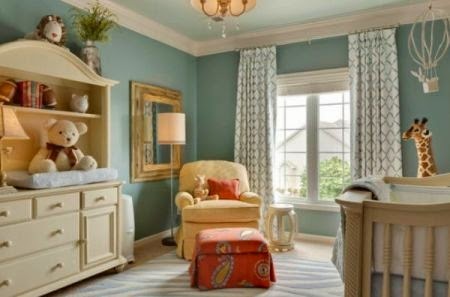 Incorporate soothing pastel shades in a child’s nursery. Implementing bright colors can over stimulate your child and hinder good sleep. Choose soothing and restful colors that are harmonious in Feng Shui terms to allow your child to calm itself. Clean and clear the room by removing all clutter and consider an energetic cleansing also. For this purpose you can sprinkle therapeutic grade essential oils and wipe surfaces with water mixed with citrus oils. Incorporate natural designs as they are an excellent way to promote your Child’s growth. Avoid designs and motifs that depict aggressive or ferocious animals. Avoid patterns that have sharp edges also. A soft and pleasant level of lighting is essential to create a gentle and soothing atmosphere. Very bright light can disturb the baby’s restful sleep and too dim light can induce respiratory problems. To create soft energy and movement mobiles can be hung near windows. These mobiles will sway gently in the breeze and create a soft music to induce a restful atmosphere. Elimination of electronics that can create an electrical magnetic field in the nursery contributes to a soothing environment. Implementing Feng Shui techniques is the perfect way to ease the transition from womb to room. Think about those lifestyle rules next time your hire a professional home builders to remodel your home. And yes, Feng Shui is a great way to ensure a healthy environment for your “bundle of joy”.